Presentation is essential to creating an enjoyable retail experience, and Zippy’s detailed program for cleaning all areas of shopping centres, both large and small, will have patrons returning to your location time and again. High foot traffic areas in public spaces, such as shopping centres, need daily and ongoing cleaning to ensure the entire facility is safe, hygienic and welcoming to spend time in. You can have confidence in Zippy, as your partner in shopping complex maintenance, that every area is clean and appealing. We can provide continual monitoring of shopping centre cleanliness throughout the day, or as required, including increases in need such as during holiday periods. Having our cleaners onsite during opening hours means any potential hazards or risks such as slips and falls are mitigated for your customers and tenants. Having our staff patrol the centre allows spills to be attended to immediately. Dry mopping the wet area prevents a slip hazard, minimising the possibility of injury. Minor maintenance work can be carried out by our staff during the day, and they can report any larger maintenance concerns or vandalism to centre management as soon as it is discovered. Bins in the mall or food courts, and in bathrooms, must be monitored to avert an unsightly and grubby overflow of waste. Likewise, we will collect litter from the shopping centre and dispose of it accordingly. We can oversee the freshness of your bathrooms and toilets through our meticulous hygiene and sanitation program, with special care given to hotspots for bacterial infection. The refilling of hygiene consumables such as paper and soap products will be taken care of for you, too. Areas such as travellators, lifts and tiled flooring in malls will also be kept sparkling clean and secure for the many people using the space. If graffiti is an issue in your shopping centre, we can help with its timely removal to prevent further vandalism. In addition to tending to your centre’s bathrooms, lifts, escalators, waste disposal, and graffiti removal, we will clean the external areas including carparks, walkways, entrances, gardens and landscaping. We will manage the scrubbing of your foyers, offices, roof areas, restaurants and food courts, play equipment, display boards and signage, entrance mats, pop-up shops and displays, bin storage areas, and give detailed attention to hard-to-reach places, as well as removing chewing gum using a chemical-free process. Some of our services might be best conducted after hours, to avoid interruptions to shoppers and staff. At night we can administer machine scrubbing of hard flooring and subsequent slip tests; cleaning of glass, windows and skylights; high dusting and cobweb removal; cleaning of grease traps and surrounding areas; drain cleaning; and pressure cleaning. As part of our package, we can open and close the shopping centre at the start and end of the day. Our fully trained and inducted cleaners are well presented and wear identification badges and a uniform issued by Zippy. Centre management may like to take advantage of the opportunity to co-brand the cleaners’ uniforms with shopping complex’s logo. Radios are used for communicating onsite, which enables prompt attendance to any cleaning requirements. We are also able to incorporate ‘touch points’ within the facility through our Time and Attendance software. This will ensure that you can see that areas of high importance – for example, bathrooms – are being attended to and serviced regularly throughout the day. 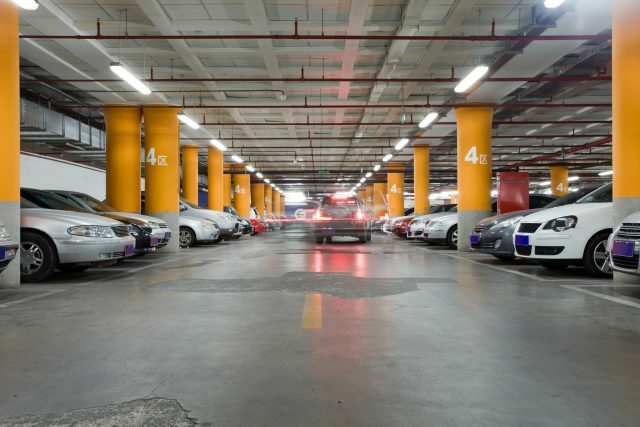 Call us today to discuss how we can present your shopping centre in its best condition, and keep your patrons safe, comfortable, and looking forward to their next visit.